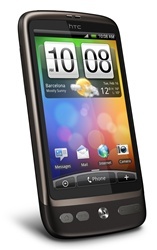 HTC Desire delivers intense brilliance, sharp contrast, and true colors on the expansive 3.7-inch AMOLED display. The 1 GHz Qualcomm Snapdragon processor makes the phone incredibly responsive as you multitask from app to app without skipping a beat, while the instinctive HTC Sense experience lets you wield the power of the HTC Desire with the greatest of ease. With the HTC Desire, it’s all about your information, your entertainment, your multimedia … your way. A multitude of HTC Sense widgets makes it easy to transform your Home screen with rich content that personalizes your phone experience. If you’re a sports junkie or simply love to keep up to date with the latest news, the HTC Desire keeps you in the know with the News application. News makes it easier than ever to collect all your favorite articles from across the web. Choose from a selection of channels that cover top blogs, news sites or sports pages, or get news updates based on the keywords you select. 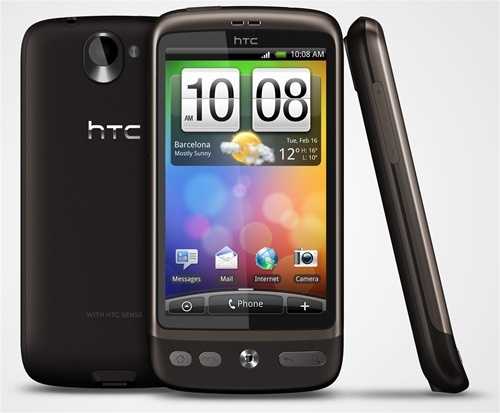 The HTC Desire excels at helping you stay in touch with the different circles of friends or colleagues in your life. The new People widget lets you bring any group you create on your phone right to the surface for easy access to calling, messaging, emailing or simply checking up on social networking updates. 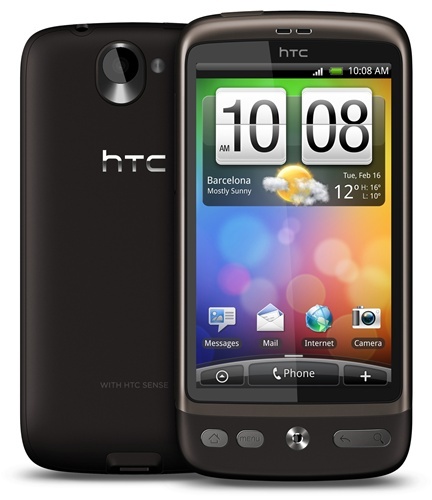 The HTC Desire simplifies the way that you tend to all of your social networks. With Friend Stream, your interaction with friends across multiple social networks like Facebook®, Twitter™, and Flickr™ are brought into a single easy to follow stream of updates, photo posts, and shared links. Friend Stream also lets you shout out your thoughts or feelings to all your online friends with a single comment that gets broadcast to both Facebook and Twitter. 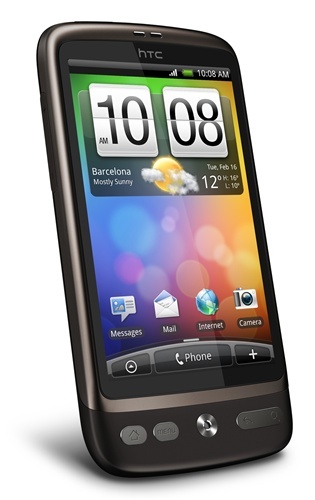 HTC Desire offers an expansive display, a blazing-fast processor, and a great interface. On top of that, it has a lot of little design touches that make a big impact on your overall phone experience: like the new 'Leap' thumbnail view that lets you easily jump to any of the seven panels on your Home screen, or the polite ringer that lowers the ringer volume when you pick up the phone. Your work email, calendar appointments, and contacts, are right there on your phone - you can even look up any company contact in the global address book. 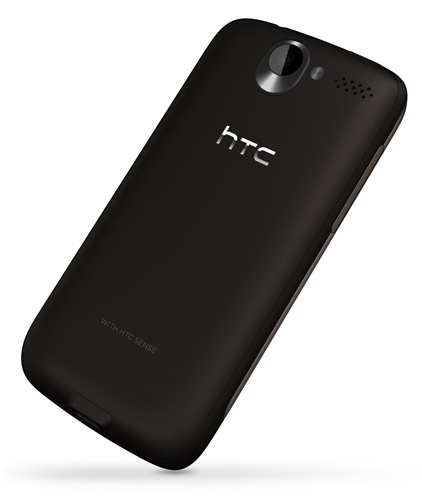 The HTC Desire also has enhanced support for Exchange security features such as password protection and remote data wipe. And, if you forget to tell your colleagues that you are taking the much needed day off, you can set the ‘Out of Office’ status right from your phone. HTC Desire was designed to thrive on the web. The screen size is perfect for mobile browsing, with the high resolution AMOLED display making everything you view ultra crisp. The pinch to zoom feature makes zipping around websites intuitive - the text even automatically reflows when you take a closer look so you don’t have to pan left or right, and the Adobe® Flash® support opens up the vast video and gaming resources of the Internet. HTC Desire’s browser is designed to do more than simply browse. With just a press and hold you can select text on a page and look it up in Wikipedia or have it converted into your native tongue via Google translation tools. My phone arrived me 7 days later I ordered with UPS postage service. It is Asian version, which is better for me for a Turkish user, especially for its charger with European plug. The phone is awesome, I think it's one of the best phones ever. Thanks to Integron Technologies, the service is also perfect. I had no problem while ordering, they contacted me when shipping. The price is the best in the market. Phone is as described, arrived after 9-10 days (UPS Expedited). I sent integrontech an e-mail asking about some financial issues and they did respond after 1 day (which is good). The only thing that annoyed me is that it's an Asian version of the desire, but it's ok, as long as it supports English. After upgrading to Froyo you get Arabic support, disconnected letters but at least readable. No warranty statement on specifications.